Draft: 2009, Arizona Diamondbacks, 9th rd. Is married.....wife's name is Anna.....the couple has a son named Hunter... Graduated from Rider (TX) High School, where he tossed three no-hitters as a senior... Attended North Central Junior College as a freshman and then the University of Oklahoma... Wears his late father's socks, cowboy boots, belt buckle, jeans and pink polo shirt to the park prior to every home start.....his father, Robert, passed away in 2012... He and his wife have three dogs: Jack (golden doodle), Toby (shih tzu) and Cami (Pomeranian)... Enjoys hiking, camping, hunting, fishing and mission trips... Follow him on Twitter (@ChaseAnderson87). Went 9-8 with a 3.93 ERA in 30 starts with Milwaukee... His 30 starts tied a career high (also 2016)... The Brewers went 16-14 in his starts... Produced 11 quality starts, going 6-2 with a 1.70 ERA in those starts (68.2ip, 13er)... Made his first career Opening Day start on 3/29 at San Diego and allowed just 1 hit over 6.0 shutout innings (3bb, 6k).....received no decision in the Brewers' 2-1, 12-inning victory... Was on the 10-day disabled list from 5/13-5/20 due to illness, retroactive to 5/10... Tied the Rockies' Tyler Anderson for the National League lead in home runs allowed (30)... Was not on the NLDS or NLCS rosters. Went 6-6 with a 4.30 ERA in 27 starts with Arizona...The Diamondbacks went 11-16 in his starts...Produced 13 quality starts, going 5-0 with a 1.59 ERA in those starts (84.2ip, 15er)...Went 3-1 with a 2.84 ERA over his first 13 starts of the season (79.1ip, 25er) and 3-5 with a 5.89 ERA over his last 14 starts (73.1ip, 48er)...Tossed 6.1 no-hit innings on 6/12 at San Francisco before surrendering an infield single to Buster Posey.....earned a 1-0 win over Madison Bumgarner (7ip, 1h, 1bb, 2k, 2hbp, 1wp)...Was on the 15-day disabled list from 7/19-8/6 with right triceps inflammation...Was optioned to Triple-A Reno on 8/18 but did not pitch there before he was recalled on 8/20...Notched a career-high 10 strikeouts over 6.0 innings on 9/23 at Los Angeles but received no decision in the Diamondbacks' 4-1 loss.....did not allow a hit after Chase Utley's leadoff homer ...Was traded to Milwaukee, along with INF Aaron Hill, SS Isan Diaz and cash, in exchange for SS Jean Segura and RHP Tyler Wagner on 1/30/16. Was 9-7 with a 4.01 ERA (51 ER in 114.1 IP) and 105 strikeouts in 21 starts in his first Major League season...Ranked among NL rookie pitchers in wins (T-1st), starts (2nd), strikeouts (2nd, 105), innings (4th) and ERA (6th)...Among D-backs' single-season rookie leaders, finished fourth in strikeouts, fifth in wins and sixth in starts and innings pitched....Threw 153.1 innings between D-backs and Double-A Mobile, the most in his professional career...Was one of three starters in the Majors since 1998 to win his first 5 or more career starts along with Jered Weaver (7 in 2006) and Kazuhisa Ishii (6 in 2002)...Is the first D-backs rookie (third starter) to win his first 5 starts of the season [also: Randy Johnson 2x in 2000 (7) and 2002 (6) and Brandon Webb in 2008 (9)]...Won Major League debut on May 11 @ White Sox (1 ER in 5.1 IP)…his two hits allowed were the second fewest by a D-backs starting pitcher in his debut (one in 5.0 IP by Micah Owings on April 6, 2007 @ Nationals)...Visited Walter Reed National Military Medical Center on Aug. 20 and Phoenix Children's Hospital on Aug. 26...Began the season with Mobile and went 4-2 with a 0.69 ERA (3 ER in 39.0 IP) in 6 starts...Named organizational Pitcher of the Month for April, going 3-2 with a 0.85 ERA (3 ER in 31.2 IP) for Mobile. Spent the entire season with Triple-A Reno, going 4-7 with a 5.73 ERA (56 ER in 88.0 IP) in 26 games (13 starts). Went 3-7 with a 5.50 ERA (42 ER in 68.2 IP) as a starter and 1-0 with a 6.41 ERA (14 ER in 19.2 IP) in relief. On disabled list from May 26-June 4 and June 11-July 21 with a strained right triceps. Pitched in just 3 games with Single-A Visalia due to injury, going 1-1 with a 5.40 ERA (8 ER in 13.1 IP)...On the 7-day disabled list twice with a strained right elbow (April 16-May 3 and May 9-end of season). Combined to go 7-7 with 3 saves and a 3.32 ERA (40 ERin 108.1 IP) in 26 games (11 starts) with Single-A South Bend and Visalia...Was 4-6 with a 2.70 ERA (19 ER in 63.1 IP) as a starterand 3-1 with a 4.20 ERA (21 ER in 45.0 IP) in relief...Began the season with the Silver Hawks and went 2-4with a 2.82 ERA (12 ER in 38.1 IP) in 7 starts...Midwest League Pitcher of the Week for May 3-10...Promoted to Visalia on May 18 and was 5-3 with 3 savesand a 3.60 ERA (28 ER in 70.0 IP) in 19 games (4 starts)...Named California League Pitcher of the Week for May31-June 7...struck out 11 in a win on June 4 vs. Stockton (1 ER in 7.0 IP). Made his professional debut with Advanced Rookie Missoula and went 3-1 with a 2.38 ERA (12 ER in 45.1 IP) in 18 games (4 starts). May 21, 2018 Milwaukee Brewers activated RHP Chase Anderson from the 10-day disabled list. August 20, 2017 Milwaukee Brewers activated RHP Chase Anderson from the 10-day disabled list. August 13, 2017 Milwaukee Brewers sent RHP Chase Anderson on a rehab assignment to Colorado Springs Sky Sox. August 8, 2017 Milwaukee Brewers sent RHP Chase Anderson on a rehab assignment to Wisconsin Timber Rattlers. June 29, 2017 Milwaukee Brewers placed RHP Chase Anderson on the 10-day disabled list. Left oblique strain. August 20, 2015 Arizona Diamondbacks recalled RHP Chase Anderson from Reno Aces. August 19, 2015 Arizona Diamondbacks optioned RHP Chase Anderson to Reno Aces. August 7, 2015 Chase Anderson roster status changed by Arizona Diamondbacks. August 2, 2015 Arizona Diamondbacks sent RHP Chase Anderson on a rehab assignment to AZL D-backs. July 19, 2015 Arizona Diamondbacks placed RHP Chase Anderson on the 15-day disabled list. Right triceps inflammation. May 6, 2014 Arizona Diamondbacks recalled RHP Chase Anderson from Mobile BayBears. March 31, 2014 RHP Chase Anderson assigned to Mobile BayBears from Reno Aces. March 4, 2014 Arizona Diamondbacks optioned RHP Chase Anderson to Reno Aces. September 30, 2013 Arizona Diamondbacks recalled Chase Anderson from Reno Aces. July 21, 2013 Chase Anderson roster status changed by Reno Aces. June 13, 2013 Reno Aces placed RHP Chase Anderson on the 7-day disabled list retroactive to June 11, 2013. June 4, 2013 Reno Aces activated RHP Chase Anderson from the 7-day disabled list. May 26, 2013 Reno Aces placed RHP Chase Anderson on the 7-day disabled list. March 13, 2013 Arizona Diamondbacks optioned RHP Chase Anderson to Reno Aces. 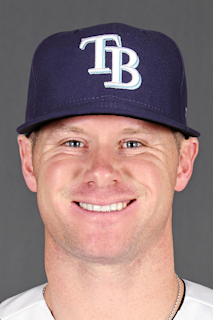 November 19, 2012 Arizona Diamondbacks selected the contract of Chase Anderson from Mobile BayBears. June 17, 2012 Chase Anderson roster status changed by Mobile BayBears. May 20, 2012 Mobile BayBears placed RHP Chase Anderson on the 7-day disabled list. April 17, 2012 RHP Chase Anderson assigned to Mobile BayBears. March 7, 2012 RHP Chase Anderson assigned to Arizona Diamondbacks. September 21, 2011 Visalia Rawhide activated RHP Chase Anderson from the 7-day disabled list. May 9, 2011 Visalia Rawhide placed RHP Chase Anderson on the 7-day disabled list. May 3, 2011 Visalia Rawhide activated RHP Chase Anderson from the 7-day disabled list. April 19, 2011 Visalia Rawhide placed RHP Chase Anderson on the 7-day disabled list retroactive to April 16, 2011. March 23, 2011 RHP Chase Anderson assigned to Arizona Diamondbacks. May 17, 2010 RHP Chase Anderson assigned to Visalia Rawhide from South Bend Silver Hawks. April 5, 2010 Chase Anderson assigned to South Bend Silver Hawks from Missoula Osprey. June 22, 2009 Chase Anderson assigned to Missoula Osprey from Arizona Diamondbacks. June 20, 2009 Arizona Diamondbacks signed Chase Anderson.